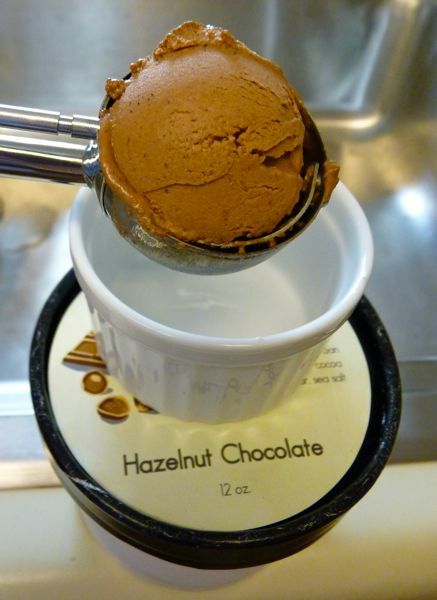 Today was Day #3 of Chocolate and Nut Butter Theme Week. 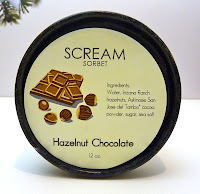 Scream Sorbet's (Oakland, CA) Hazelnut Chocolate sorbet contained just five lovely ingredients: water, Inzana Ranch hazelnuts, Askinosie San Jose del Tambo cocoa powder, sugar, and sea salt. The rich, creamy texture and high quality flavors may fool you into thinking you're savoring some very fine ice cream. Worth every penny.